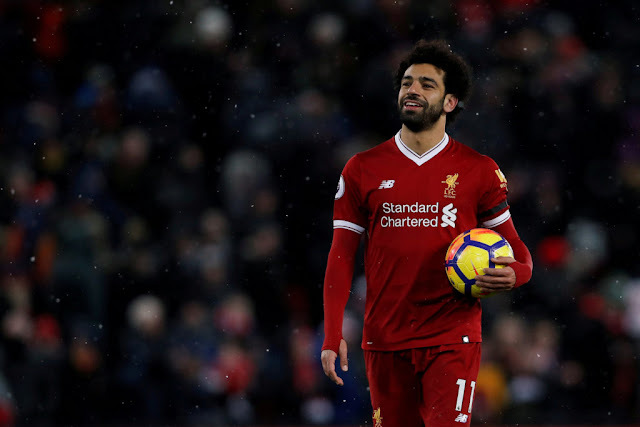 Former Liverpool striker Ian Rush will not mind if Mohamed Salah breaks his single-season scoring record for the club but said that trophies would be a better measure of the Egyptian forward’s impact on Merseyside. Salah has scored 28 goals in the Premier League this season and 36 in all competitions, the most by a Liverpool player in a debut campaign for the club. The Egypt international has been so prolific that Rush’s 47-goal tally from 65 games in the 1983-84 season is within his reach. In an interview with ESPN (http://es.pn/2DPcqCG), Rush, whose record season helped Joe Fagan’s Liverpool capture the league title, European Cup and League Cup, said Salah’s goals must have a similar effect to make his achievement even more memorable. “Of course you want to hold on to your records, but being connected with Liverpool now, you don’t mind them being broken because that means they’re doing well,” Rush said. Liverpool are effectively out of the reckoning for the league title and are chasing second spot behind champions elect Manchester City. They have 63 points from 30 games to sit two points and one place behind second-placed Manchester United. The club’s hopes of silverware this season lie in the Champions League, where Juergen Klopp’s men take on City in the first leg of the quarter-finals at Anfield on April 4. The 56-year-old Rush, Liverpool’s all-time top scorer with 346 goals, followed up his 1983-84 effort with 26, 33 and 40 goals in the seasons that followed and said Salah had to keep improving to maintain the same level of success. “You know next season people will be looking out for you,” Rush added. “People will be out there saying: ‘If you stop Salah from playing, then you stop Liverpool from playing and winning’.